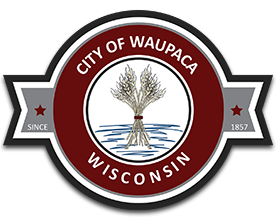 The City of Waupaca is seeking parties interested in the purchase of vacant residential lots located within two prominent subdivisions in the city. This is a rare opportunity for builders and developers to obtain land minutes from downtown shopping, schools and major area employers. Buffalo Ridge is a five minute walk away from Cary Pond, while Woodland Estates is in the process of becoming an arising neighborhood on the North side of the downtown corridor. Buffalo Ridge Subdivision only has one lot left for sale while Woodland Estates has nineteen. The zoning of both subdivisions is classified as R-1 Single Family. Please refer to the City of Waupaca Zoning Code online here for specifications regarding the R-1 Zoning District. Design standards and buyer requirements are listed on the lot fliers attached. All interested parties are encouraged to contact Brennan Kane, City of Waupaca Community and Economic Development Director at the contact information listed below.